At some point in our youth, we stop playing with toys. But the obsession we have with “things” grows stronger as we get older. We dress as a means of self-expression. We buy objects – however mundane they might be – because they deliver happiness into our lives. Some collect sneakers. Some collect Pez. And some, like Jonathan Anderson, collect art. 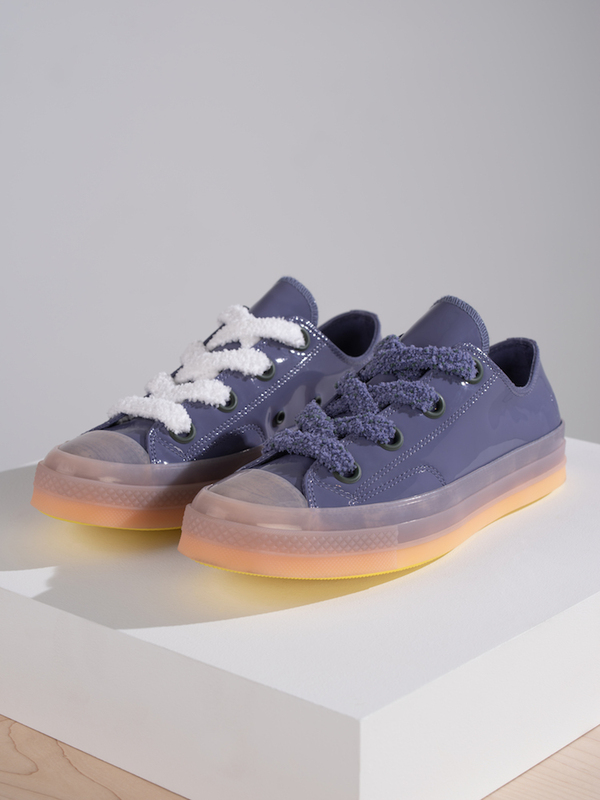 The Converse x JW Anderson Chuck 70 Toy is the exuberant result of this life-long obsession. 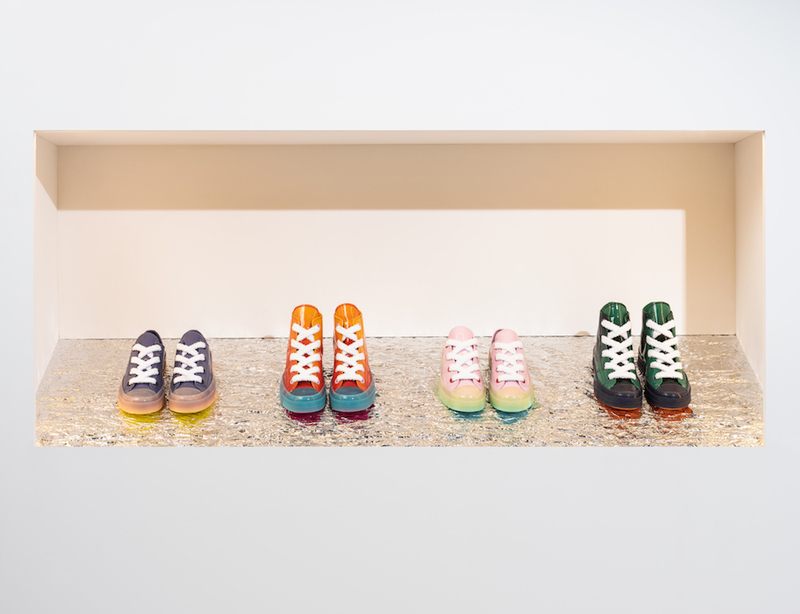 Anderson has said, the creative process is a giant patchwork of information and imagery “in search of the new, weird, and wonderful.” As the designer continues his collaboration with Converse, he applies this process to, and his passion for art and craft, to the mainstay in fashion and style, the iconic Chuck. A brilliant combination of textures inform the design of the Chuck 70. 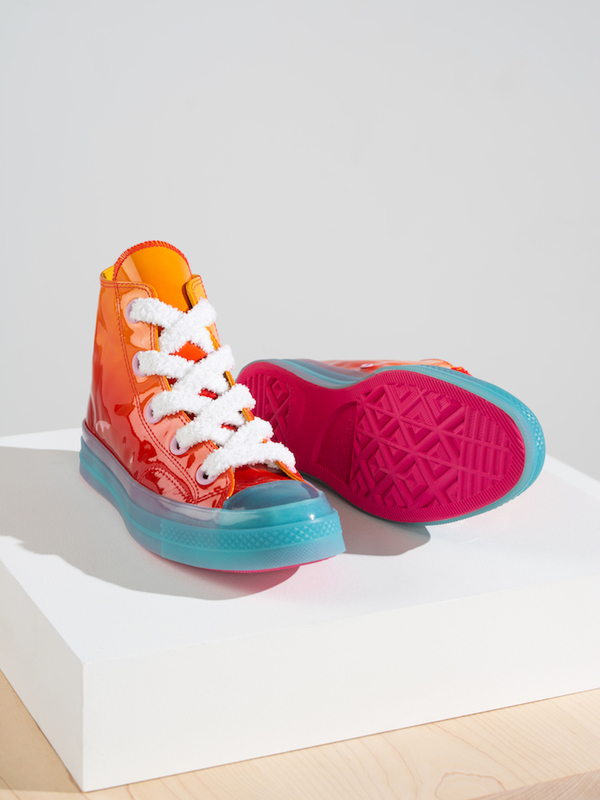 “Gloss” in the form of patent leather, an exuberant application of color, and laces that mimic the stucco of San Francisco, make even the most youthful of sneakers, feel toy-like. But maybe, after all, the Chuck is art.